We are a full service facility specializing in Arabian/Half-Arabian horses. Our facility has a heated indoor arena and an outdoor riding area, hot/cold wash stall, tack room and much more. We offer training in Western Pleasure, Horsemanship, Trail, Hunter Pleasure/Equitation, Saddleseat, Sport Horse, Halter and Showmanship. The lesson program is suitable for all ages and levels of riders. Our show team competes at all levels of competition. Please call or email us to schedule a time to come and visit our facility. Our goal is to help every rider reach their goals and be a part of a team. Description: Full Service Training, Horsemanship, Riding Lessons, Horsemasters Summer Camps, Judging and Clinics available. Two full time trainers/instructors on staff! Please call or email for more information on how we may assist you. Description: Jerry is accepting a limited number of horses for training. Call for more info. Description: Randy Stoneback Arabians is a family owned farm located right off I-80 in Northwestern Pennsylvania. The farm is a full-service facility offering Sales, Training, & Breeding of beautiful Arabian and Part-Arabian horses. 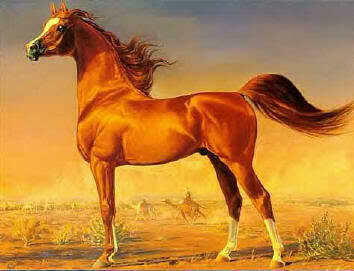 Description: Specializing in Straight Egyptian Arabian Sport Horses, sale horses available. Full service board available. Facility offers indoor and outdoor arena, hot/cold wash stall, daily turnout, tack room and more. Call or email for more information on how we can be of assistance. Description: Offering full service training, boarding, and lesson program aimed at amateur and youth riders wanting to compete at all levels of competition. Sale horses are always available. Description: Services include training, lessons, boarding, sales and showing at all levels. Facility offers indoor and lighted outdoor ring, hot/cold water wash stall, daily turnout and heated lounge. Call or email us to come visit. See how we can help make your wishes come true.